This weekend, the Country Music Hall of Famer will play his 19th and 20th sold-out shows at T-Mobile Arena in Las Vegas. The “Strait to Vegas” series began with six shows in 2016 and extended with ten more in 2017. 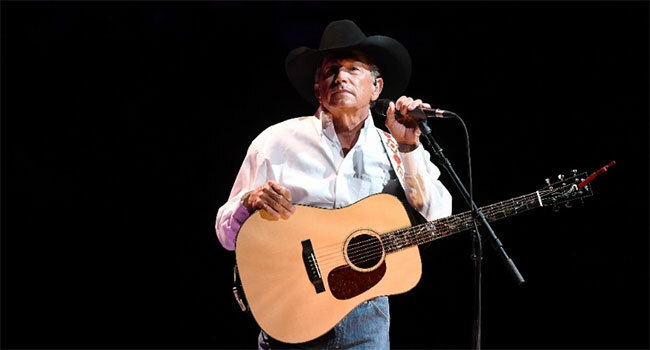 In 2018, Strait headlined Bayou Country Superfest to a sold-out Mercedes-Benz Superdome crowd in New Orleans, Louisiana, two nights in Tulsa, Oklahoma and one night in Austin, Texas. Select dates have already been announced for 2019 including T-Mobile Arena in Las Vegas, Mercedes-Benz Stadium in Atlanta, Ohio Stadium in Columbus (Ohio), and Dickies Arena in Ft. Worth. Tickets and VIP Packages are available now. Jason Aldean drops ‘Burnin It Down’ video for 24 hrs on E!